The development adjacent to Boca Park in Summerlin Las Vegas is $850 million 30 acre commercial real estate site with plans of upscale dining and shopping on Alta Drive. $1.5 million, Desert Shores Las Vegas, 5,897 square feet, 5 bedrooms, 5.5 baths, upgrades galore, marble throughout and 140 feet of lake frontage. $1.4 million, Eagle Hills Summerlin Las Vegas, Red Rock real estate, 4,890 square feet, 6 bedroom, 4.5 bath, one-third acre, tech center, office, library, pool, barbecue and spa. 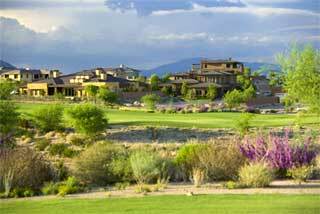 $1.39 million, Red Rock Country Club Las Vegas, Red Rock real estate, 4,000 square feet, 4 bedroom, 4.5 bath, 20-foot ceilings, golf and Strip views, stone veneer interior and entertainment center. $2 million, Southern Highlands Las Vegas real estate, 5,098 square feet, 5 bedroom, 5.5 bath, private courtyard, city and mountain views, golf, winding staircase, 16,553-square-foot lot and many upgrades. $1.5 million, Canyon Gate Las Vegas home, 4,333 square feet, 4 bedroom, 3.5 bath, half acre, golf and mountain view, casita, pine wood ceilings, interior stone accents, atrium, pool and spa with cabana. $1.64 million, Red Rock Country Club in Red Rock Las Vegas real estate, 3,823 square feet, 2 bedroom, 3 bath, golf and mountain views, marble flooring and mahogany, cherry cabinets, putting green and saltwater pool. $1.07 million, Northwest Las Vegas real estate, 4,255 square feet, 5 bedroom, 4.5 bath, three dense, casita, 25-foot-by-25-foot master bedroom with balcony, office, library, courtyard, exercise room, beach-entry pool and courtyard. $1.35 million, Red Rock Country Club in Red Rock Las Vegas real estate, 4,578 square feet, 4 bedroom, 4.5 bath, loft, elevated lake and golf course views and guest quarters with balcony. $1.14 million, Queensridge Las Vegas real estate, 3,963 square feet, 4 bedroom, 3.5 bath, courtyard entry, butler’s pantry, master balcony with view of city and mountains, koi poind and Infinity Edge pool.